I’m so excited to have a Solid State Drive (SSD). The machine screams!! Before I go on a coding bender, I thought it was important to carefully explain how one goes about unpacking a MacBook Pro. First, you must find a box that could possibly contain an Apple computer. I typically look for a box with a small bust of Johann Sebastian Bach on top. The next step is to cut the box open and check what’s inside. Much to my surprise, I actually found a new MacBook Pro in the box! What are the odds? The next step is a bit tricky. You must figure out some way to remove the inner box from the outer box. This one took me a while to figure out, it’s a bit like a puzzle. I’ll give you a tip…the trick is to lift up. Once you manage to solve that riddle, you’re one step closer to having your very own MacBook Pro. At this point you must check the inner box very carefully. Make sure you haven’t brought any unwanted guests to the party. I discovered a spy who had somehow snuck his way into my home. He escaped before I could catch him. It’s OK, because at this point I was so excited about my new machine that I forgot all about him. Once the machine was configured it was ready to go. No ugly annoying OEM-installed crapware asking me to register, update, sign up, etc. The machine simply went into its ready state and waited for me to floor it. Not only is it fast as Hell, but it’s a really slick looking device, too. To top off the pure elation of introducing this awesome piece of technology into my life, I had no choice but to gather the troops, pour a glass of scotch whisky, and smile! This entry was posted in MacBook Pro. Bookmark the permalink. I got to admit that any Apple product is extremely good looking (I am not a Apple fanboy and I don’t have one… yet). Just be careful Josh, SSD tend to fail. Set up your time machine to backup your entire system in a regular HDD and you should be sweet. Thanks for the tip about SSDs failing Rod. I’ll be sure to get a backup scheduled. I have been using several SSDs for a couple of years now (four in different machines) and apart from a DOA which was replaced by the store the only thing that fails is “failing to wait for the hard drive to catch up”. Rock on Josh, I am looking forward to reading about your journey into the Mac, as I have a similar background and have been asking myself the same questions. > the only thing that fails is “failing to wait for the hard drive to catch up”. My dev env is still forming. Last night I downloaded the Xcode 3.2.4 and iOS SDK 4.1. That also includes Interface Builder, which is the visual design app you use to drag-drop UIs together. I would have downloaded Xcode 4 (which is supposedly a much better IDE than the previous version) but it’s in beta and is known to be unstable at this time. I’d rather not work on beta tools while just getting started. You know me too well! Ha! Elvis Bach is in kahoots with Eggna! Good stuff! +1 for the scotch too! 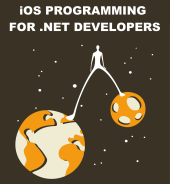 Here’s a really really useful like (a real find) if you want to access good old .asmx .net web services with the iPhone SDK (or in fact any wsdl). Be sure to check out: http://www.sudzc.com/ – the guy who wrote this deserves praise. Basically auto generates the proxy for WSDL’s should you ever decide to continue down that route – trying to do this by hand is not fun! Looking forward to some great articles. Any plans on setting up dual boot, for a win7-based dev environment? Dude I’m right there with you.. Years of C# and now getting the chance to try iOS dev. Really looking forward to following your progress!